The Order of the Paraclete. Each of these Orders is as “ecumenical”, radically tolerant, and “inter-faith” as the M.O.C itself; but each of them possesses – so to speak – a speciality. They represent the three Western Monotheisms in their essential and esoteric harmony. Aminity of faiths is achieved thorough “heresy”, i.e. non-canonical interpretations of “doctrine”. These are the Religions as the M.O.C views and experiences them (in the light of Noble Drew Ali's Circle Seven Koran, which makes use of the esoteric Christian and Rosicrucian apocrypha by a syncretic principle we have inherited): – for us, the Monotheisms are living mutating entities, interpenetrant and mutually illuminative. This position has been called (somewhat jocularly) “polyreligiosity”. It owes something to “paganism”, which is not truly polytheistic but rather a congeries of distinct cults and sects recognizing a universalistic principle of mutual validation. It also owes something to Noble Drew Ali's syncretistic genius; and also to the position of Hazrat Inayet Khan the Chishti Sufi who practiced the Harmony of Faiths and whose teachings were incorporated into the M.O.C in the early 60's, with the permission of certin surviving disciples in Delhi at the shrine of Nizamoddin Aulia. Thus the FATIMID ORDER is primarily “Islamic”; specifically it deploys a spiritual/initiatic affiliation with revolutionary Ismailism in the transmission of the Hafeziyya, whose Imams were the Caliphs of the Fatimid dynasty of Egypt (913-1171). This line supposedly disappeared and is not represented by any “church” in the world today other than the F.O., which owes no allegiance to the Nizaris or Qarmatis or Bohras or other existent Ismaili sects. The Order concerns itself with Hermeticism in the Egyptian/Islamic tradition; and with the practise of “initiatic dreaming” in the Owayssi sufi tradition (in which initiatic visions are sought without any authoritarian “Master” and without Tariqat-affiliation); and with the study of revolutionary theory and praxis in Islamic history. The Order follows a principle which might be called “anarcho-monarchism”, and considers each of its devotees as a “Pretender to the throne of an Imaginal Egypt”. The ORDER OF JERUSALEM is “Jewish”, but specifically Judeo-Canaanite or Hebraeo-pagan, or Jewish-“Magical”, in emphasis. Moreover, Jerusalem is the symbolic capital city of the Three Monotheisms, and thus of special interest to the Adept Chamber. Even as this article is published the O.J. is establishing itself in Jerusalem, where it will propagate or foster interest in the Harmony (and Peace) of Faiths; the study of archaic Canaanite and other Holy land religions and cults of the topocosm; popular Cabalism and Magic; the tradition of Sabbatai Sevi the “false” Messiah who converted to Islam in 1666; the Dome of the Rock and the Temple (symbolized by the Buraq, the half-mule/half-angel-beast that Mohammad rode to paradise, launching from the Rock to seventh heaven). The O.J is also a “chivalric” order, in that it awards all its members the title “Chevalier of the Moorish Order of Jerusalem.” The purpose of the knights is to foster and protect the Mission in Jerusalem, and to work for Peace through inter-faith harmony. The ORDER OF THE PARACLETE is “Christian”, but since it admits (potentially) any form of Christianity it is infinitely flexible and expansive. The Paraclete, the One Who Is To Come, has been identified with Mohammad, and also with the “Holy Spirit” in the Millennialism of Joachim of Fiore, who saw an Age of the Father (Law) and an Age of the Son (Church) succeeded by an Age of the Spirit – the utopian millennium, perfect freedom. As another millennium approaches, the O.P. will function to give an esoteric interpretation and an outward manifestation to this ideal. Beside the “Aquarian Jesus” of the Cirle Seven Koran, the following Christian themes play roles in the form of the O.P. 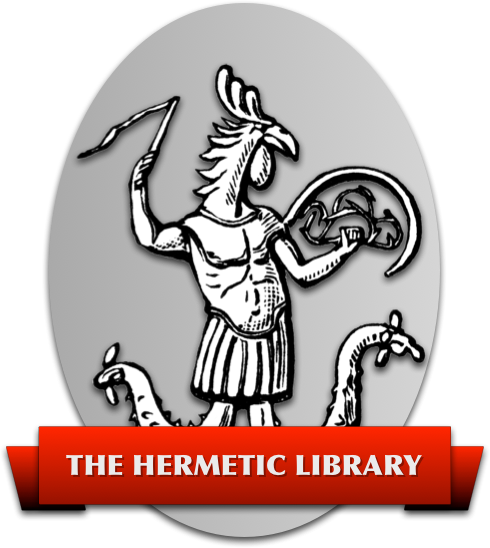 – the Brethren of the Free Spirit, the Adamites, the Beghards and Beguines; the Christian Cabalists, alchemists, and hermeticists; Renaissance Neo-platonism and Magic; the Celtic Church and its links with paganism; certain forms of Gnosticism (the link to “Egypt”! ); radical Protestantism, e.g. the Anabaptists, the Family of Love, the Ranters, the Antinomians, the Diggers, William Blake (Christian Druidism); the revolutionary churches of Spence and Weddeburn, the religious cult of Charles Fourier, the New Catholic Pantarchy of Stephen Pearl Andrews, etc. ; aslo, the Wandering Bishops and the autocephalous churches movement, which played a major role in the original formation of the M.O.C. (hence the term “orthodox” and our title of “Metropolitan”, for example) – the emphasis on liturgy as magic defines O.P. praxis. Another major source of inspiration is the “Spiritist” tradition, the syncretism of Christianity and “HooDoo”, African and Native ritual, iconography, magic, etc. – the single most creative source of spiritual strength in America today. As if to prove that Christianity is more complicated than Islam or Judaism, the O.P. has already spawned or affiliated with several autocephalous or free churches – in face, the main purpose of the Order will be to organize “inter-communion” of free Christian churches; and thus it acts, so to speak as the Christian arm of the H.M.O.C Adept Chamber. In theory both the Fatimid Order and the Order of Jerusalem could carry out similar affiliative conjuctions, but neither has yet done so. Moreover, the Adept Chamber feels a need to add yet more Orders and/or Degrees to its structure, and openly encourages M.O.C. members to form – for example – pagan/druidic/shamanic, Buddhist, Taoist, Tantrik, or other orders; furthermore, the Adept Chamber itself welcomes “inter-communion” with all Free Religions and spiritual paths, up to and including exchanges of Orders and Titles (hence for example or Discordian affiliation, or our relations with psychedelic churches in the 60's). All this may seem overly-complex to anyone unfamiliar with the M.O.C. 's long-established policy of deliberate syncretism, positive “heresy”, anti-hierachalism and anti-authoritarianism. The Angels are said to delight in high-sounding and glorious titles, and we Moors are not less than angelic in this, at least – but we never believed that one title could ever rule another. We take our stand at the nexus where religion becomes aesthetic, festal, ludic, and creative – a source and power for freedom, for both the individual and the group.